Plan an e-commerce strategy to shred your competition! 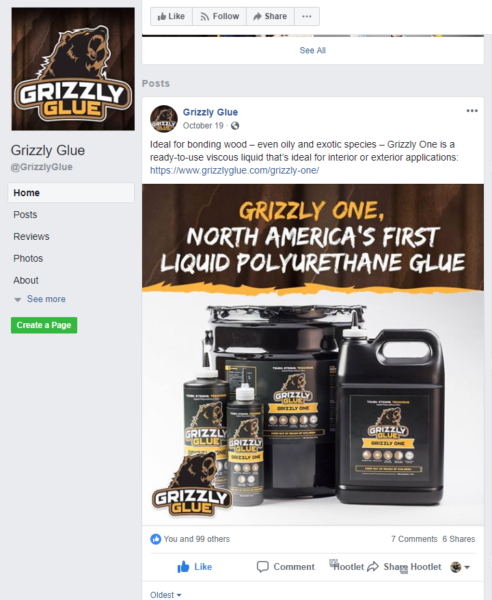 That’s what Michigan-based business Grizzly Glue did last year – and they’ve grown 53%. 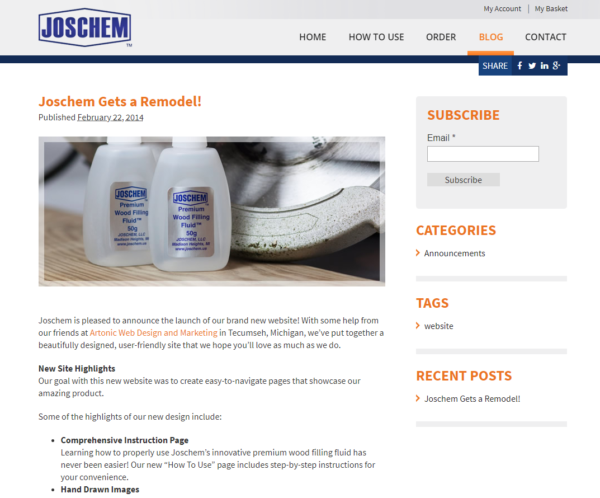 Find out how they did it, from their new brand name and logo to a fully functioning e-commerce website. Why Plan an E-Commerce Strategy? E-commerce is a huge opportunity for sellers. Americans love to shop online, and this trend continues to grow. Take advantage of this by opening an e-commerce store and planning a strategy to shred your competition! 51% of Americans prefer to shop online in 2018. 96% of Americans with internet access have made an online purchase in their life, 80% in the past month alone. Ecommerce is growing 23% year-over-year, yet 46% of American small businesses do not have a website. The number one element you must embrace is the experience you offer to your consumers. The experience is the most important part of your e-commerce strategy. When you plan an e-commerce strategy, the first thing to review is your brand. If you don’t have a brand, it’s time to create one. If you do have a brand, it’s time to evaluate it, and possible re-design it. 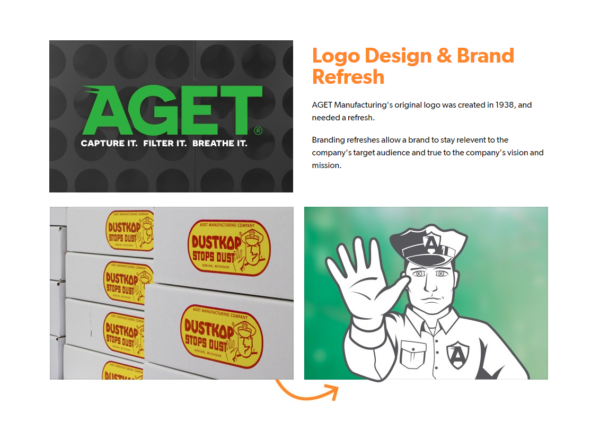 AGET Manufacturing rejuvenated its brand. When it comes to your business logo, it’s best to stand out. A strong brand identity elevates you in the eyes of your customers. It also helps you stand out from your competitors. 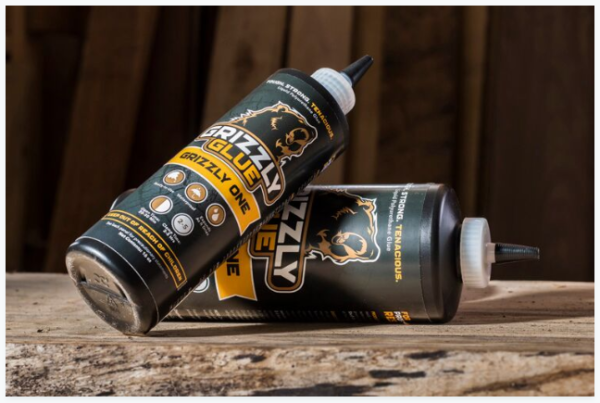 The logo designed for Grizzly Glue is unique and represents the brand very well. 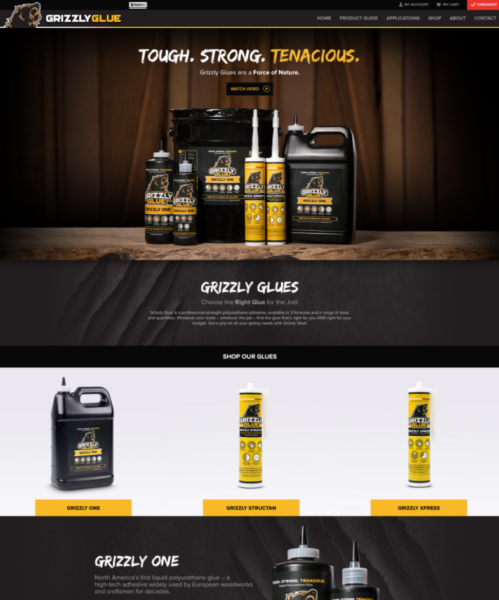 The colors were specifically chosen to appeal to Grizzly Glue’s target audience, many of whom work with wood or perform carpentry. You need an e-commerce website if you want to sell your products online. Now is the time to get your store online, because people love to shop online! In fact, 51% of Americans think shopping online is the best way to shop, with 49% preferring shopping in-store. 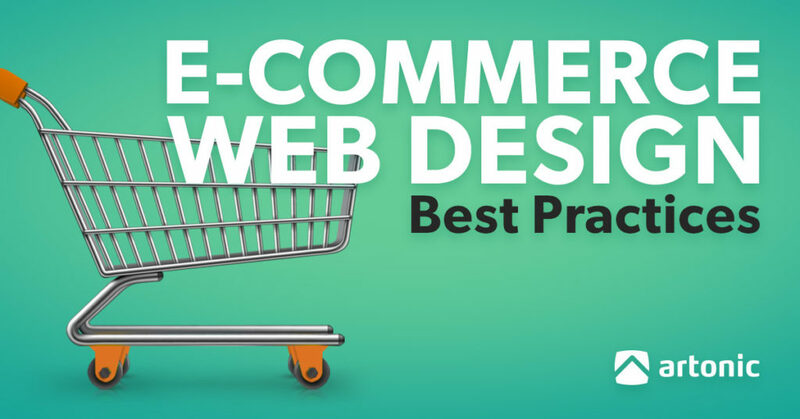 To build an e-commerce website, you need to find the correct platform on which to build it. We recommend BigCommerce or OpenCart. The best e-commerce platforms are BigCommerce and OpenCart. 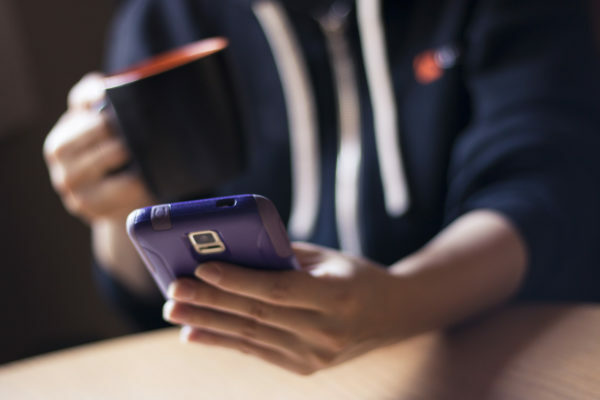 When planning an e-commerce strategy, do not overlook your mobile audience! People shop online frequently, and many of those consumers use a smartphone or tablet to do so. Cater to everyone in your audience, and build a responsive e-commerce website. 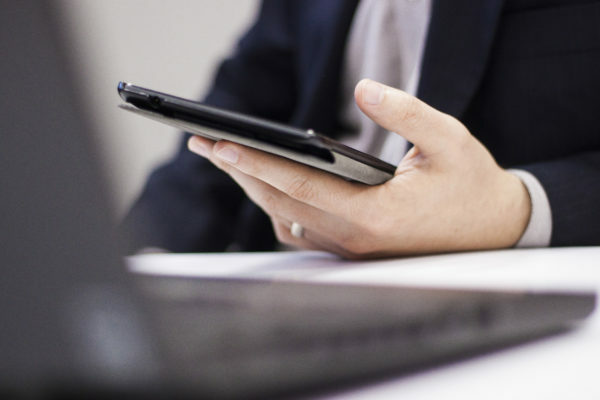 People shop online using tablets and smart phones. Your design can make or break the effectiveness of your website. A professionally designed website boosts you company’s credibility. In fact, Adobe found that 75% of user judgment about your business’s credibility is based on your website’s design. What do you put on your banner? Should your banner rotate? 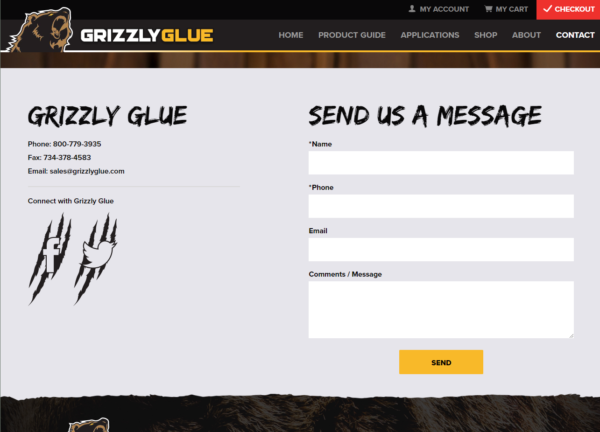 For your homepage banner, we suggest you pick one message and one action you’d like your customers to perform. We do not recommend a rotating banner, because they aren’t very effective. In a recent study by Komarketing, customers were asked about their experiences shopping online. We cannot overstate the usefulness of photography for e-commerce websites. 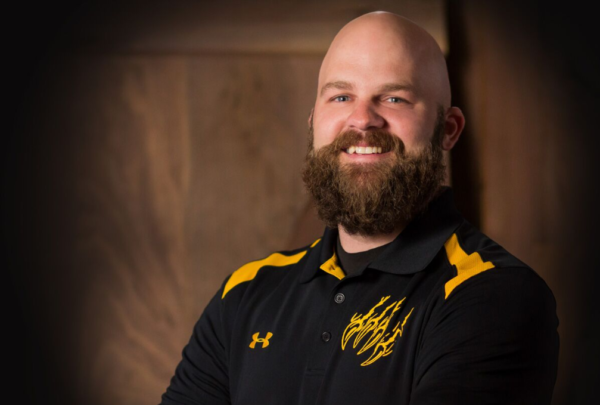 Professional photography of your team and products is a must. Photos get attention, increase engagement, and help convert sales. You can also use photography in many ways, such as social media posts, e-mails, print materials, and more. Lot of big brands use influencer marketing to spread the word about their products. This is a great idea! Influencer marketing can be a very effective way to promote and sell your products. Here’s a video on YouTube made by an influencer. The influencer uses the brand’s product in his video. Include team videos in your e-commerce strategy, too. Team videos introduce you to your audience. Your customers are able to see and hear you, and this increases their trust in your company. A product video is a must-have on your e-commerce strategy list. Nothing sells a product like a video! Even though the following video is professionally shot with voiceover, it was still simple to create. A similar video can be used on your website, on social media, posted on YouTube, shared via e-mail, and included in your blog. Give Artonic a call or e-mail us if you’re interested in website design, development, or marketing. Subscribe to Artonic's Blog Stay on top of the topics that are important to your business! Previous Previous post: What’s the Best Website Design for an IT Company? How Do I Market It? Artonic is a full-service web design and digital marketing agency serving local, regional, and global companies throughout North America and Europe. © 2019 Artonic. All Rights Reserved.